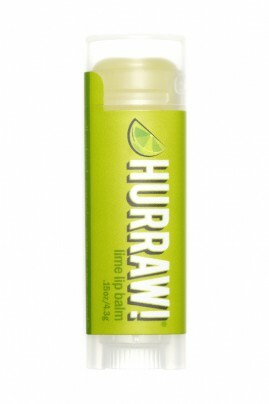 Hurraw Natural Lipbalm Lime gives you the delicious taste of your favorite summer drink ! Its formula rich in organic oils and butters made from premium raw, protects and nourishes. Your lips are smooth and moisturized with its natural delicate fragrance. All the Hurraw Lip Stick Balms are 100% natural, vegan (no animal-derived ingredient) and crueltyfree (not tested on animals). Handcrafted production, the quality of cold pressed oils and raw butters is superb : you will see the difference ! il sens super bon ! il hydrate bien j'adoooooooore l'odeur j' en suis tomber amoureuse ! Clean composition : organic & natural ingredients to take care of your lips !